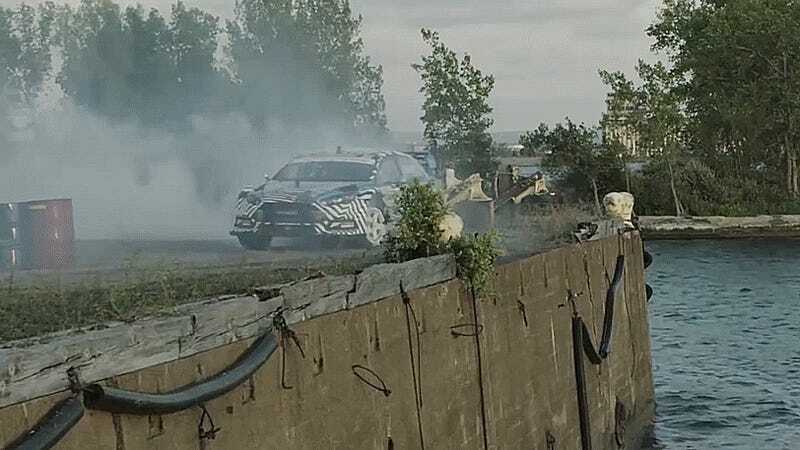 To celebrate the announcement of Gymkhana 10, Ford released a few videos that showed how the sausage was made on Gymkhana Nine. Check out these extended, behind-the-scenes cuts of one of the better Gymkhanas ever made: the one with the freaky train jump. There’s three new behind-the-hoon vids in total, including some with multiple takes like this waterfront drift. “So, this is kind of that scary point because you just keep pushing and pushing and you hope that you push it inch-by-inch, not foot-by-foot,” said Hoonigan head honcho Brian Scotto. But hey, if Ken got it wrong, he’d at least tumble over slowly. The film’s most infamous stunt had even less margin for error. One does not simply stop a train immediately, and everything had to be carefully timed to keep Ken from being squashed by a train. I will never get tired of watching that jump, though. 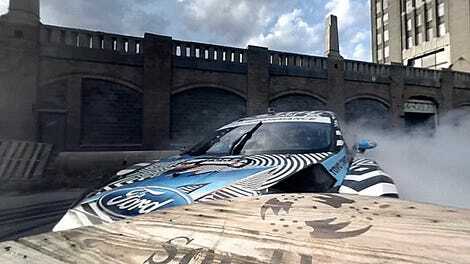 Last, but not least, remember Ken Block hoping a helicopter didn’t drop a 6,000-lb Ford Raptor on him mid-donut? Good times. 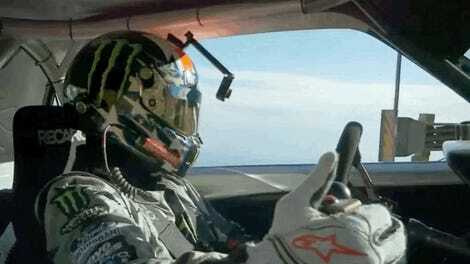 After a video this crazy, Gymkhana 10 better deliver.